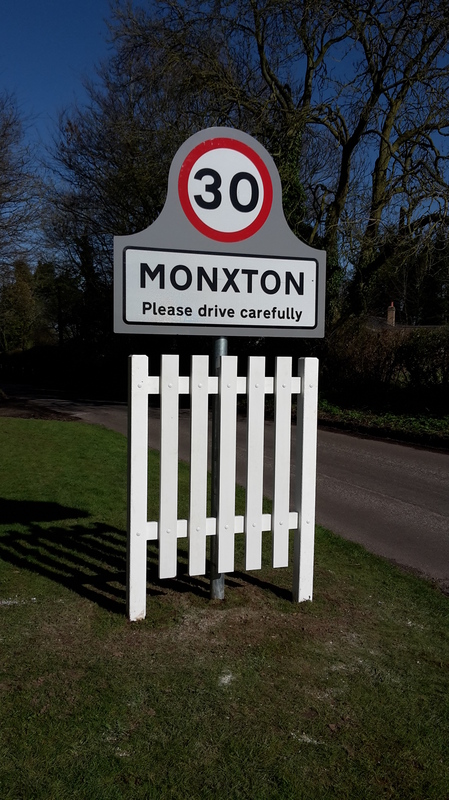 The Monxton village gateways are being installed this week with works already well underway. Below is the new gateway installed on the Monxton-Grateley road. This entry was posted in News, Parish Council, Traffic Gallery.